I’m a Finalist in the Shoot and Share Photo Contest! March 19, 2019 March 20, 2019 by kryztyne2012Leave a Comment on I’m a Finalist in the Shoot and Share Photo Contest! In my last post I couldn’t believe that I was a finalist in the top 4.5% of the Shoot & Share Photo Contest and I’m even more excited to announce that I just found out the final results. I’m over the moon that I had two photos that earned a Finalist Award, and one photo in the Top 20%, and 2 in the Top 30%! This was my first year entering the contest and I went in with zero expectations, because I’m still relatively new to photography. Once I logged in and started voting for photos in the various categories I was so overwhelmed at the high caliber of the other photographers. There were 12 rounds of voting and the more votes a photo received the better the chance of making it to the next round. The way this contest works is that it is “Completely Free and Fair”. This photo of cutie pie actress and model Journey was a finalist in the top 2.2% and ranked number 383 out of 41,321 other photos in the Babies & Toddlers category. And not only that but 61 people selected it as one of their favorite photos. So amazing! A huge thanks to Journey and her sweet mom, Celina, for allowing me to capture Journey’s smiles and sass. To put it all in perspective, the contest started with 583,150 photos. By the time the contest was in Round 12 only the top 2.2% of all photos remained and I was still in! Over 174,215 unique voters participated from 144 different countries. If you put all of that together, the voters spent over 15,809 cumulative days casting over 90 MILLION votes! How amazing is that? This photo, taken at the Orange County Fair, was a finalist in the top 2.2% and ranked number 451 out of 18,262 other photos in the Creative Projects category. Super excited that 33 people selected this photo as a favorite. This photo of beautiful Aylin made it to the top 20%. Thank you, Aylin! This photo, taken in gorgeous Laguna Beach, CA, ended up in the top 30%. 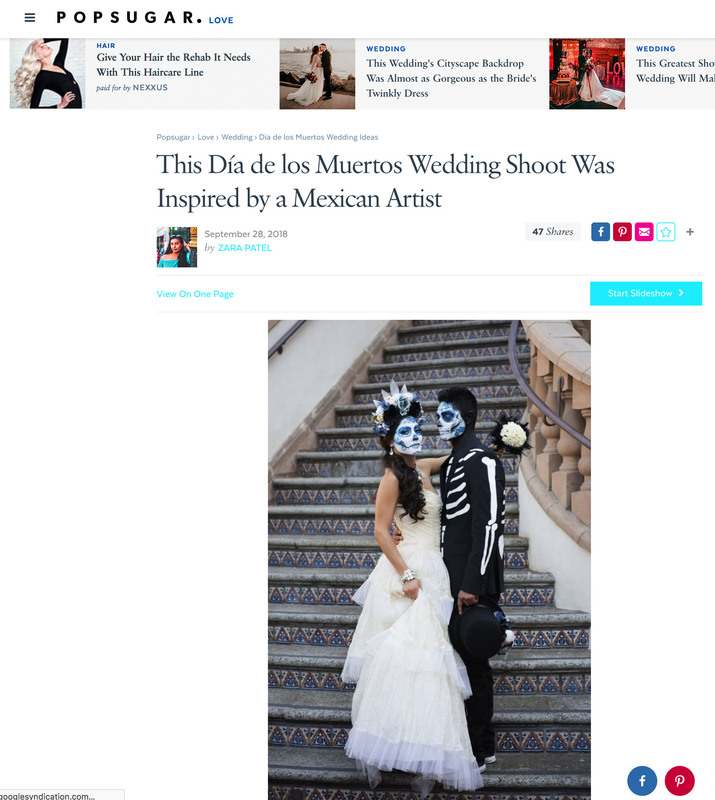 And my photo of a dancer at the Dia de los Muertos event at Hollywood Forever Cemetery made it to the top 30%. Thank you so much to my clients and models who have allowed me to capture their smiles and let me to tell their stories. And an extra special thank you to my friends who have been so generous with their time and advice and helped me learn so much about photography. And an extra huge thanks goes to my husband, Phil, and my kids, Savannah and Trevor, for being my cheerleaders and biggest fans! But the biggest thank you of all goes to not only everyone who participated in the contest and voted but to the organizers of the Shoot & Share contest! I’m thrilled to be a finalist and I’m looking forward to next years contest! I’m in the top 4.5% in the Shoot & Share 2019 Photo Contest? February 22, 2019 March 10, 2019 by kryztyne20121 Comment on I’m in the top 4.5% in the Shoot & Share 2019 Photo Contest? I received an email this afternoon telling me that one or more of my 40 photos that I submitted to the Shoot & Share 2019 Photo Contest was favorite-ed in Round 11. That means that I still have a chance to be a winner if I can make it all the way through Round 12 tomorrow! I finally came across one of my photos in Round 11! Mine is the shot from the Orange County Fair. One of my friends saw my photo of cutie Journey in Round 11! This is a super unique contest. As they say “It’s not about one photographers popularity vs. anothers or the ability to rally social media for votes. It’s not about your financial ability to pay for more entries to flood the photo pool.” Seeing my friends photos in the contest has been incredibly exciting, because I know how hard they work and they deserve the recognition. I have terrible Imposter Syndrome, which means that I never feel like I’m measuring up. Can you imagine my surprise when I found out that I’m still in the running? I’m super excited because even if I don’t win one of the prizes, just to know that my work was in the top 4.5% of the remaining 26,458 photos is such a big deal for me. I’ve enjoyed seeing all of the beautiful work from other photographers. From People Portraits, to Weddings, to Landscapes and even a category for Phone Photos and 21 other categories, there has been so much talent and so much inspiration. This was my first year entering the contest and to know that my photos were getting voted on from a starting pool of 583,150 photos was so overwhelming. But every couple of days I would get an email that someone had favorite-ed one of my pics and it made my heart soar! To date my photos have been chosen as someones favorite 71 times. OMG, I’m just going to take a moment to let that sink in. I mean, most days I kind of like my photos a little but to know that other people cared enough to click on that little heart MEANS SO MUCH!!! Learning to use my Nikon camera, Adobe Lightroom and Adobe Photoshop has given me some serious challenges and sleepless nights. But, I’m so thankful for my group of photography friends who have been there for me when I get into a tight spot and need their sage advice. And I couldn’t have done it without my biggest cheerleaders by my side; my husband Phil and my kids, Savannah and Trevor. No matter what happens or what doesn’t happen for me in the contest, I’m so happy to have been a part of it and to be among such a tremendous group of talented photographers. The contest started with 583,150 photos. By the time the contest was in Round 12 only the top 2.2% of all photos remained and I was still in! Over 174,215 unique voters participated from 144 different countries. If you put all of that together, the voters spent over 15,809 cumulative days casting over 90 MILLION votes! How amazing is that? The winners are being posted on the Shoot and Share website and you can go over and check out the results! Published in La Belle Kidz Fashion Magazine! I’m so excited to have my photo of adorable actress and model Journey Christine published in the Winter 2018 issue of La Belle Kidz & Teen Fashion Magazine. I’m filled with gratitude to have my photography featured in such a stunning publication and so thankful to La Belle Kidz for the opportunity. Journey Christine is featured as a La Belle Fav Model and I’m so happy for her. I was lucky to meet five year old Journey Christine in September. After talking to her mom about my plan for the shoot I found the perfect dress from Biscotti and designed a Beyonce-inspired floral crown for Journey to wear. Not only is Journey absolutely adorable but she has the most charming personality. She flitted from tree to tree, like a precocious little pixie, in a gorgeous park in Pasadena, California and worked her magic for the camera. The results were stunning and I’m so thrilled for her continued success. To learn more about Journey Christine, visit her on Instagram and see all of the incredible work she’s already done for Disney, Honda, Walmart, Kohl’s, Home Depot and other top companies.